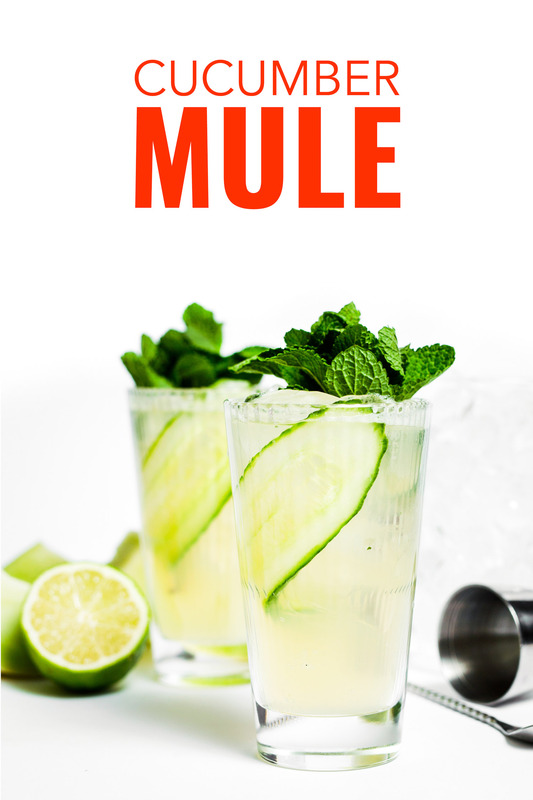 This cucumber mule recipe uses gin instead of a classic Moscow mule and is also known as a Gin Gin Mule. 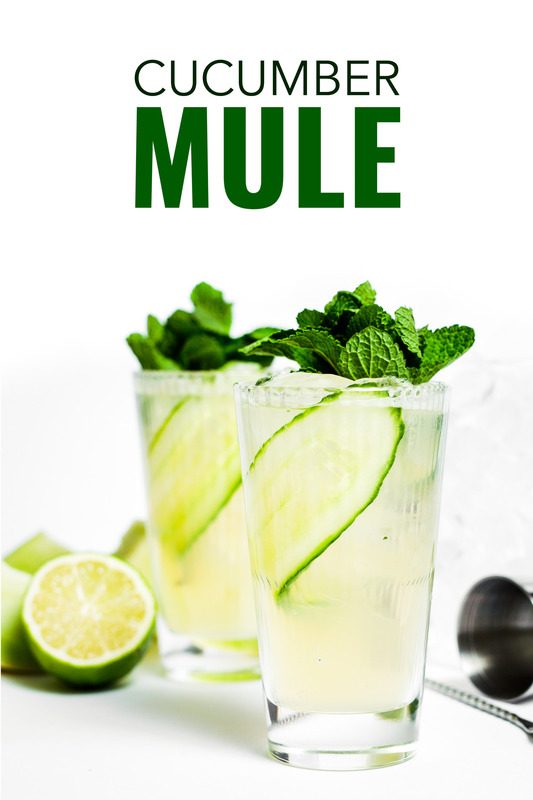 Bombay Sapphire sent me a lovely recipe for a Melon Cucumber Mule one of their spring 2019 cocktails. I was immediately interested because as soon as I see cucumber in a cocktail list I’m hooked. 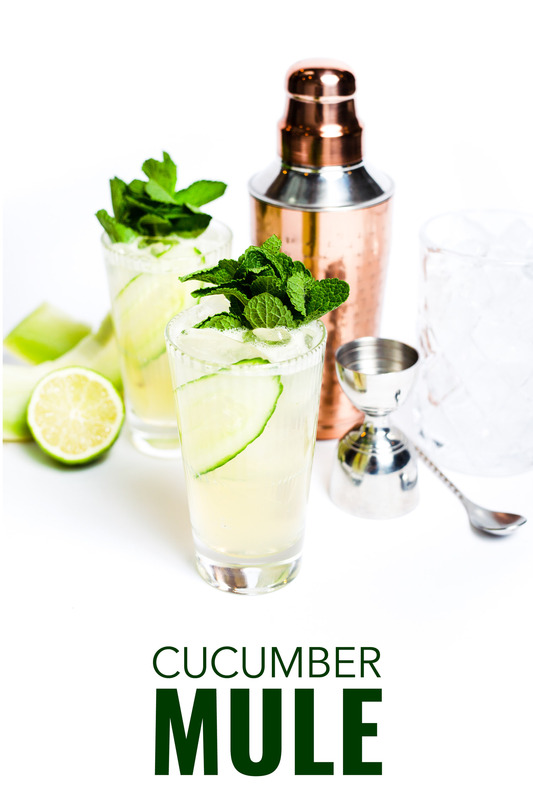 Cucumber in a cocktail is refreshing and perfect for warm weather. But it also makes me feel like hey there’s a vegetable in my drink, this is kinda healthy! And then I realized this wasn’t a Moscow mule, because it uses gin. The classic recipe for the Moscow mule is vodka, ginger beer and lime. It is often garnished with fresh mint leaves and a slice of lime. Many people credit the popularity of vodka in America with the moscow mule. In fact, in the 1940s vodka wasn’t popular and neither was ginger beer. 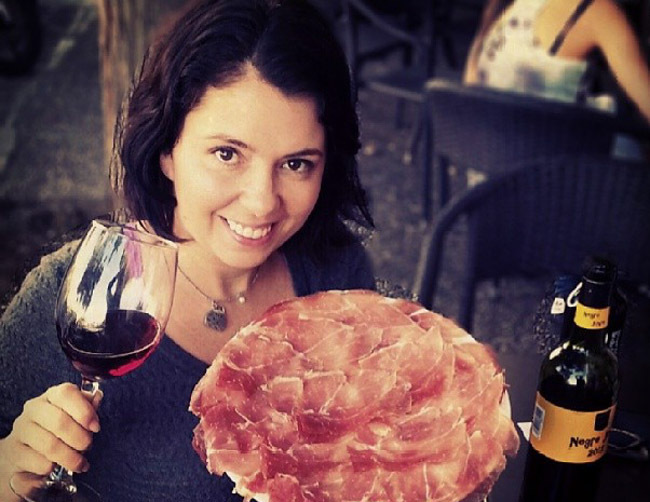 But together they became a hit, and it was all because of what they were served in. Want More Great Gin recipes? Moscow mules are traditionally served in copper mugs like these ones. In order to make the drink seem trendy, a vodka distributor decided gave bars copper mugs so that they became a talking point. And it worked. While there are plenty of cheap ones you do want to make sure that what you buy is made with 100% food-safe copper is that high grade. The proper moscow mule mugs have an interior plated with nickel as the acid from citrus reacts to copper. 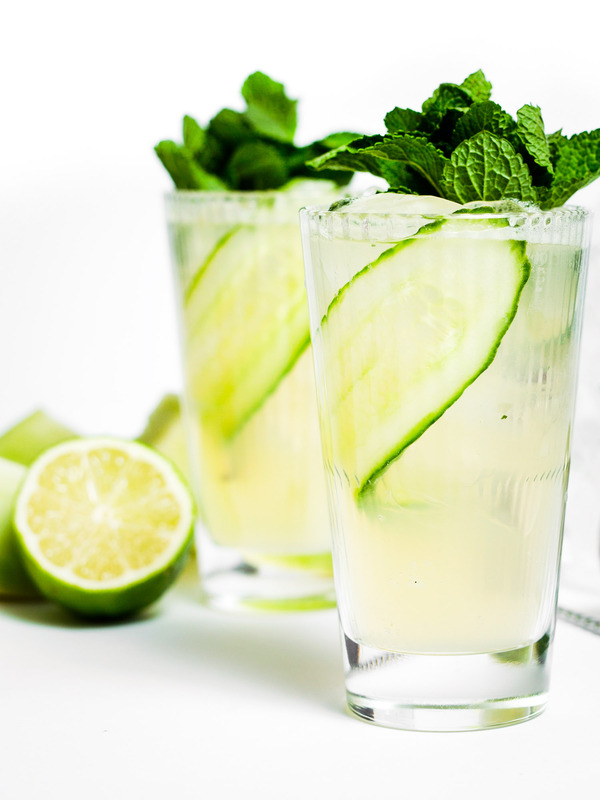 This cucumber mule recipe calls for a Tom Collins or high ball glass. But you can use whatever glass you prefer as no one will scoff a cocktail. Don’t let it seem confusing. Just know if you have a classic cocktail you would like to try don’t worry if you don’t like the spirit because you can always swap it out for another. 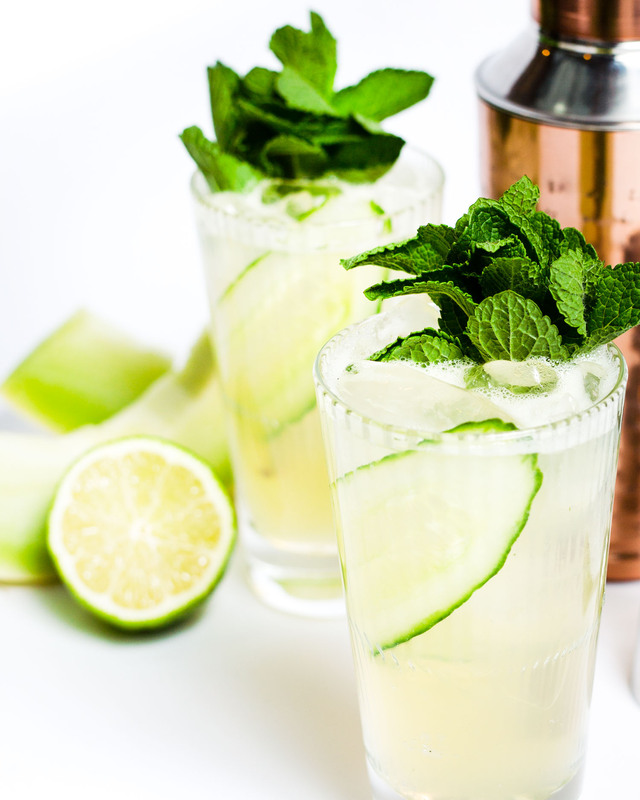 This cucumber mule recipe uses gin, which is fantastic with ginger beer but the recipe think it is versatile for many different spirits. Mules have very few ingredients, this means the quality of the ingredients are very important. This is not the time to use a cheap spirit. Use high quality spirits for this recipe, a good ginger beer and fresh fruit – fresh lime juice does make a difference. Ginger beer is NOT ginger ale. Ginger beer is fermented, whereas ale is just flavoured water. If you can’t find ginger beer I wouldn’t worry as the Sapphire Gin gives the flavour a boost in a way vodka does not. I prefer this recipe without the honeydew melon, as it’s not one of my favourite fruits. I prefer to replace the honeydew melon with syrup from this Elderflower cordial recipe. If you are using classic copper mugs don’t forget to pop them in the freezer at least twenty minutes before serving this cucumber mule to keep them cold. Muddle the cucumber first and then muddle again with the honeydew (optional). Clap the mint and add it to the tin along with the Bombay Sapphire, agave and lime juice. Strain over ice into a Collins glass and top w ginger beer. Garnish with a cucumber ribbon and fresh mint.